This is what negative WAR looks like. Need I say more? He’s awful. Wil Myers will be #missed because he was #good. But this system isn’t completely drained. Far from it, actually. It’s still loaded with low-level high ceilings and Bubba Freakin’ Starling. 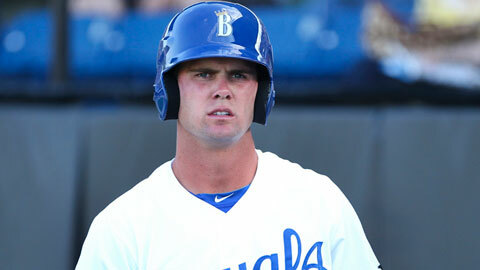 Bubba ain’t exactly the best baseball player (yet), but is probably the best athlete in the entire minor leagues. 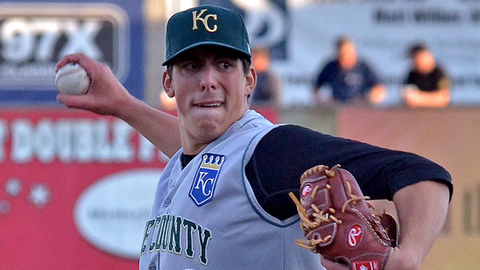 Top prospect Kyle Zimmer looks like he was in A Bugs Life and makes funny faces, but he’s got a hammer curveball paired with plus-plus velocity from an extremely clean delivery. Miguel Almonte has raised some eyebrows this spring, with an impressive arsenal at a very young age; he’s got a very similar body and array of pitches as #BARVES top prospect Julio Teheran. 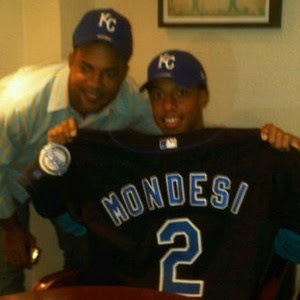 The name that everyone needs to know is Adalberto Mondesi. Already dubbed “The Next Profar” by multiple prospect enthusiasts, the son of former outfielder Raul Mondesi has off the charts instincts and a rapidly improving bat from both sides of the plate. He will start the year at Low-A Lexington, and won’t turn 18 until late July. Which is just stupid. Dayton Moore is still banking on “The Process”, and while the Wil Myers trade seems like a knee-jerk reaction in order to win a few extra games, it didn’t destroy this system by any means. Still plenty to watch here. ADALBERTO ! GM Dayton Moore clarifies what he believes to be “The Process”, explains he is a part of The Process Church of The Final Judgment; he never had any intention to make the Royals a winning ballclub. Billy Butler gets sick of his nickname “Country Breakfast”, becomes a freegan. Jeff Francoeur stops being so nice , returns to replacement level. Ervin Santana continues to give up ALL DA HOMERZ.